This beautiful card features an alphabetical listing of common health conditions and suggests essential oils that many individuals have used to help with each condition. The card also includes basic information about how to use essential oils aromatically, topically, and internally so that your clients can have a starting point when learning to use essential oils. And the back of the card also includes a space at the bottom where you can place an address label with your contact information (this is a great place to list your personal website or blog too!) so that people can contact you when they want to learn more about essential oils. This card is the perfect size to keep in your car or your purse, to use as a bookmark, to include with your essential oils first aid kit, and to hand out with a sample of your favorite essential oil or blend! If you are looking for a great resource (that is also very affordable!) 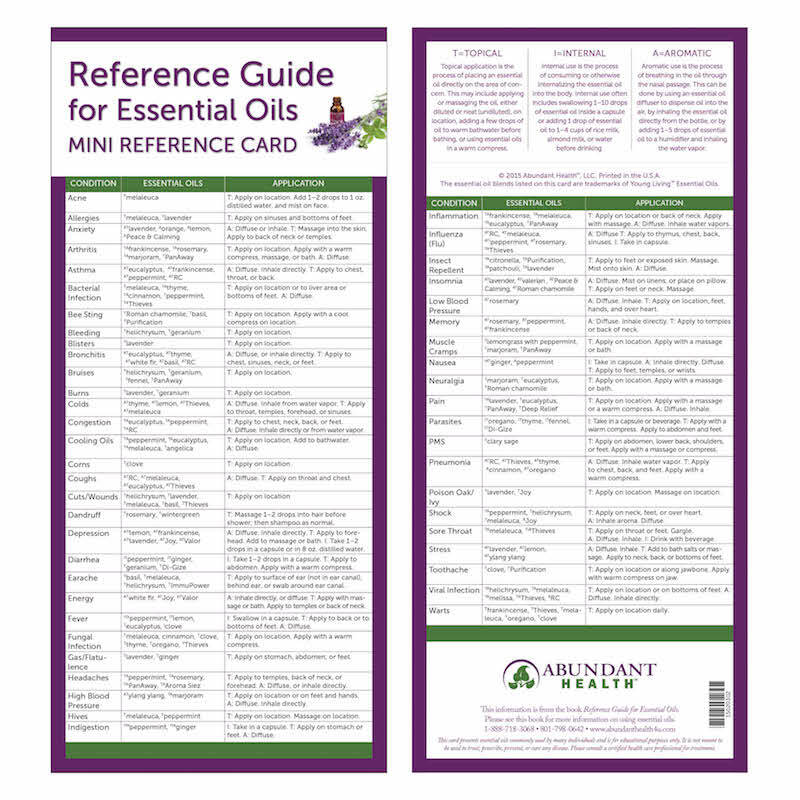 to help you share essential oils with others, we highly recommend this “Reference Guide for Essential Oils Mini Reference Card”! this guide quite an useful item to keep in our purse or handbag, I loved it and presented a few to my close friends.